The O’Brien Law Firm LLC is an Ohio elder law and estate planning firm that helps many Beachwood residents. While it is a common misconception that estate planning and elder law matter only to seniors, our firm helps people of all ages and people with all different goals for the future. When you want to achieve the peace-of-mind and security of knowing you have a solid financial plan and have used the right legal tools to protect yourself, your money, and your family, our firm is here for you. Beachwood is a city that spans 5.34 miles and that is considered a suburb of Cleveland. The most recent census revealed that close to 12,000 people call Beachwood their home. Many of these residents live locally but commute to Cleveland to work. Some locals, however, stay in Beachwood to work for the many companies located within the city, including Eaton Corporation’s Eaton Center or the corporate headquarters of Aleris. Beachwood not only has a thriving business community for people to find work, but is also home to recreational destinations including the upscale Beachwood Place shopping mall as well as the Maltz Museum of Jewish Heritage. Beachwood has a long history, with the area dating back to the time the Connecticut Western Reserve was created. Beachwood seceded from the town of Warrensville in 1915, and was incorporated on June 26 of that same year. 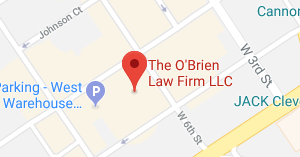 It has been a thriving and vibrant city ever since, and The O’Brien Law Firm LLC is proud to provide representation to clients in and around the area. In Beachwood, the median age is 52.5 years, making the population older than in many surrounding areas. A total of 32.3 percent of people living in Beachwood are 65-years-of-age or older. A substantial number of seniors also live alone in a household without family members. As of the most recent census, 23.9 percent of households in Beachwood were compromised of a senior who lived alone. For seniors in Beachwood, taking advantage of local programs and taking advantage of resources for the elderly can become very important. The Cuyahoga County Division of Senior and Adult Services provides vital information to seniors about programs and services that could enhance their life and help them to stay independent, active, and healthy community members for as long as possible. Seniors can visit the Division of Senior and Adult Services to discover programs in Cuyahoga County including benefits counseling, home energy assistance programs, home support services, meal services, options for independent living, and other community social service programs. By exploring different options, older Beachwood residents can get access to important benefits and services that can enhance their quality of life. Some elder law and estate planning matters must be addressed in court. If your loved one has died or become incapacitated, you may need to go to probate court to probate a will, obtain an inheritance, or seek guardianship over your sick or injured relative. There are local probate courts throughout Ohio that preside over these matters and that preside over related estate planning issues. For those living in Beachwood or who own property in Beachwood, the probate court where estate mattes will take place is the Cuyahoga County Probate Court. The Cuyahoga County Probate Court is located at 1 Lakeside Avenue, Cleveland, Ohio 44113. You can visit the court or reach the general line via phone at (216) 443-8785 or (216) 443-8895 during court hours. Court hours are 8:30 AM to 4:30 PM on Monday though Friday, except for holidays. If you have business before this court, or believe that going to probate court is needed to protect your rights, you should have a knowledgeable and caring legal advocate who can advise you and represent your interests. The O’Brien Law Firm LLC knows the probate court system and can provide the needed help during your involvement with probate court proceedings. The O’Brien Law Firm LLC is trusted by residents throughout Beachwood, Ohio to help with some of the most important issues in their life, from achieving financial security in retirement to planning ahead in case of illness to leaving a legacy. We know how essential it is for you to care for the people you love and for you to maintain your autonomy and protect your assets for as long as possible. We help make Ohio law work for you, and we know how to navigate the local court systems when needed. To discover more about the ways in which our firm can assist you, give us a call at (216) 472-1500 contact us online to talk with a Beachwood elder.